Today I am going to explain to you the basics of WinSCP. 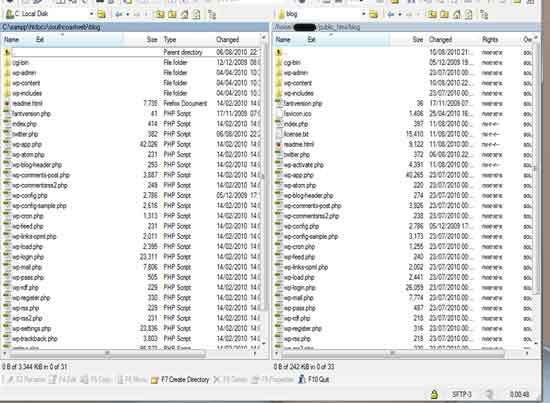 WinSCP is a FREE FTP program and can be downloaded from their website. It is an open source program that is very easy to use to with many features. Firstly head over to their website and download the file. It’s around 3mb so depending on your connection it should take less than 1 minute to download. After the download finishes run the .exe file you have downloaded and install the program. You may need a quick reboot to finish the install. Now on your desktop you should have an shortcut icon. Feel free to go ahead and open the program up. 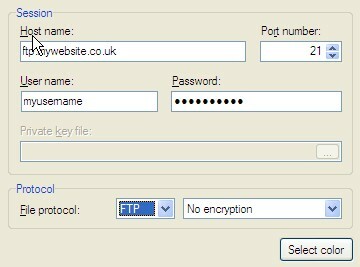 This is where you need your FTP username and password from your host provider or from your cpanel. If you noticed its normally : ftp. Unless you have been told otherwise. If this is your own computer and no one has access to it, click the save button. This will ask you to save the session for future use. You may want to save the password as well, to save having to type it in future. After you click the save button (if you choose to) you will go to the stored session screen. Now me personally I like to create a Shortcut on the desktop to go straight into the stored session. To do this click > Shell Icon > Desktop Icon confirm the request and then change the name to an easy one to remember. Now to start your FTP , highlight your session in the screen or click the new desktop icon. Now this is a simple drag and drop GUI very similar to windows. WinSCP . FTP , FREE & BRILLIANT!! This is just touching on the many different possibilities available with WinSCP. This is used daily throughout the world.